After women in the village of Kansongho told the Tandana Foundation that they would like to learn literacy and numeracy skills, so that they could keep records for their businesses and be independent in the marketplace, Tandana began the Tommo So literacy program in 2012. When women in neighboring villages saw what women in Kansongho were learning, they too, asked to participate, and that demand has continued to spread. To date, Tandana has provided classes to 1,117 women in 29 villages thanks to support from Dining for Women. In 2018, the foundation added women’s leadership workshops for former literacy students from each village to its offerings and supported these leaders in creating official women’s associations. Each new association was invited to submit a proposal for an income-generating enterprise, and the ten best proposals were selected to receive funding. 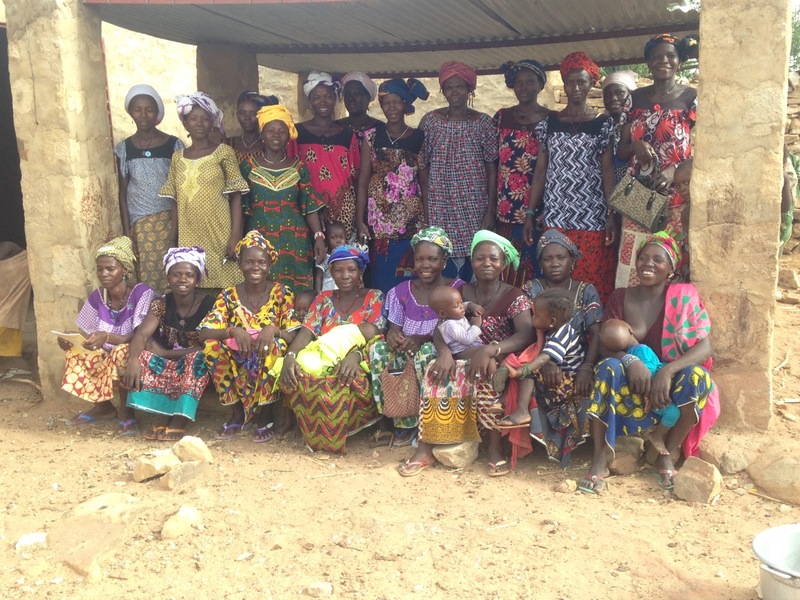 The following letter was written by Assatou Goudienkile, on behalf of the women from the village of Nounou, explaining how their participation in the literacy and women’s leadership programs has helped them become self-reliant. Quand les femmes de Kansongho ont manifesté a la Fondation Tandana qu’elles voulaient apprendre a lire, ecrire, et calculer pour mieux gerer leurs petits entreprises, Tandana a commence le proramme alphabétisation en Tommo So en 2012. Voyant ce que les femmes de Kansongho apprenaient, les femmes des villages environnants ont aussi demandé de participer, et les requetes pour ce programme ont continue a croître. 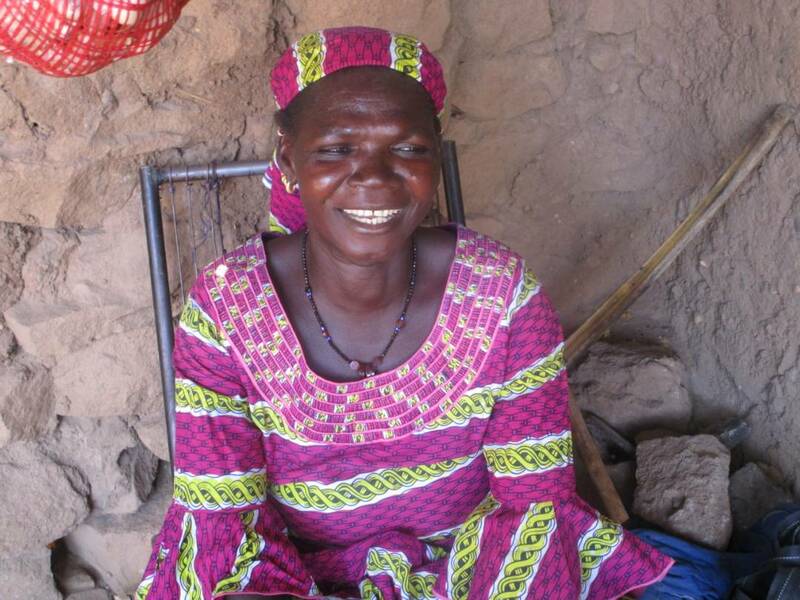 Jusqu’au present, La Fondation Tandana a donné des cours a 1,117 femmes dans 29 villages. En 2018, la fondation a ajouté des ateliers sur le leadership feminin pour les anciens auditrices alpha et a appuyé ces femmes leaders en constituant leurs associations feminines. Chaque association a eu l’occasion de presenter une proposition pour financement de leur activité génératrice de revenu et les 10 meilleurs propositions ont été financés. La lettre suivante a été écrite par Assatou Goudienkile, au nom des femmes du village de Nounou, expliquant comment la participation aux programmes d’alphabétisation et de leadership feminin les a aidées à devenir autonomes. Je m’appelle Madame Bamia, Assatou Goudienkile. L’arrivée de la Fondation Tandana dans notre village nous a beaucoup changé et renforcé notre capacité en vie associative dans notre environnement. Avant nous nous voyions même pas, les femmes du village, entre nous pendant des semaines et même des mois. La Fondation Tandana nous a amené beaucoup de propreté, l’assainissement et comment organiser des groupements entre nous. Avant avec le programme EPC, on avait des groupements, mais ce groupement était une groupement de 25 membres de personnes. Ce n’était pas pour toutes les femmes du village. Notre groupement EPC est chaque mardi et on faisait la cotisation seulement, 100f par personne et par semaine. Apres EPC, la Fondation Tandana a renforcé notre savoir en nous alphabétisant en langue Tommo So en lecture, écriture et en calcul. Avant on ne connaissait même pas ce que veut dire lecture ou écriture. Maintenant les femmes de notre village écrivent, lisent, et font les calculs de leurs petits commerces comme elles veulent. Elles changent leurs numéros de téléphones comme elles veulent. L’honneur est pour la Fondation Tandana. Apres l’alphabétisation, la fondation Tandana nous a donné un autre sens de formation sur la vie associative qui nous a beaucoup aidé et changé notre vie. La formation sur la vie associative a beaucoup plus changé nos savoirs sur le groupement de travail, la création d’une association et des organisations. Avant on ne connaissait même pas comment nous organiser pour cotiser ou travailler en groupe pour avoir des biens. Apres la formation sur la vie associative, nous avons fais la restitution avec toutes les femmes du village. Toutes les femmes du village ont été d’accord et ont félicité la Fondation Tandana a cause de de cette nouvelle. Aujourd’hui on a un groupement. Chaque vendredi on cotise 50f par personnes pour toutes les femmes du village. Nous sommes plus de 100 femmes dans le village, alors notre cotisation va plus de 5000f par chaque réunion. Nos biens ne viennent pas seulement par cotisation. On a des groupements de travail et des amendes aussi. Aujourd’hui après la formation, on a plus de 35000f dans notre caisse, et encore nous avons un plan d’action. Cette année c’est notre groupement des femmes qui vont enlever tout le fumier du village. On emporte le banco aussi. Apres l’hivernage c’est nous les femmes qui vont amener toutes les épis de mil a la maison et tout cet argent gagné va dans notre caisse de groupement. 0n n’a pas assez de difficulté parce que toutes les femmes connaissent et respectent leurs droits et leurs devoirs du travail de groupement. Nous, les femmes de Nounou, on a déjà décidé de ne pas prêter d’argent n’importe ou et on compte toujours sur la Fondation Tandana. Avant on était aveugle, sourde muet, et on ne pouvait pas marcher. Aujourd’hui grâce a la Fondation Tandana, on voit clairement, on entend, et on marche. After women in the village of Kansongho told the Tandana Foundation that they would like to learn literacy and numeracy skills, so that they could keep records for their businesses and be independent in the marketplace, Tandana began the Tommo So literacy program in 2012. When women in neighboring villages saw what women in Kansongho were learning, they too, asked to participate, and that demand has continued to spread. To date, Tandana has provided classes to 1,117 women in 29 villages. In 2018, the foundation added women’s leadership workshops for former literacy students from each village to its offerings and supported these leaders in creating official women’s associations. Each new association was invited to submit a proposal for an income-generating enterprise, and the ten best proposals were selected to receive funding. The following letter was written by Assatou Goudienkile, on behalf of the women from the village of Nounou, explaining how their participation in the literacy and women’s leadership programs has helped them become self-reliant. My name is Assatou Goudienkile. The arrival of the Tandana Foundation in our village has changed us a lot and strengthened our level of community life in our environment. Before, we didn’t even see each other, the women of the village, for weeks and even months. The Tandana Foundation has brought us a lot of cleanliness, sanitation and showed us how to organize in groups among us. Before, with the Savings For Change (SFC) program, we had groups, but this only included 25 people and it was not for all the women in the village. Our SFC group was every Tuesday and we made the contribution, only 100f (about 18 cents) per person per week. After SFC, the Tandana Foundation strengthened our knowledge by teaching us to be literate in the Tommo So language in reading, writing, and numeracy. Before, we didn’t even know what reading or writing meant. Now the women of our village write, read, and do the calculations for their small businesses as they please. They change their phone numbers the way they want. The honor is thanks to the Tandana Foundation. After we became literate, the Tandana Foundation gave us another training workshop on association life that helped us a lot and changed our lives. The training on association life has changed our knowledge about working groups even more and led to the creation of an association and organizations. Before, we didn’t even know how to organize to contribute or to work in a group to earn money. After the training on association life, we shared what we had learned with all the women of the village. All the women of the village agreed and congratulated the Tandana Foundation because of this news. Today, we have a village-level women’s group. Every Friday, we contribute 50f (about 9 cents) per person for all the women in the village. There are more than 100 women in the village. Therefore, our contribution is more than 5,000f (about $9) each meeting. Our fund comes not only from this contribution but we also have working groups and fines, too. Today after the training, we have more than 35,000f (about $62) in our fund, and furthermore, we have a plan of action. This year, it is our group of women who will move all the manure from the village to the fields. We’ll carry clay [for construction] too. After the rainy season, it is we, the women, who will bring all the ears of millet to the houses, and all this money earned goes into our group fund. We don’t have much difficulty because all the women know and respect their rights and duties of the group work. We, the women of Nounou, have already decided not to borrow money anywhere else. We still count on the Tandana Foundation. Before we were blind, dumb, deaf, and we couldn’t walk. Today, thanks to the Tandana Foundation, we see clearly, we hear, and we walk. Cuando la mujeres de Kansongho manifestaron a La Fundación Tandana que deseaban aprender a leer, escribir, y calcular para manejar de mejor manera sus micro-empresas, Tandana empezó el programa de alfabetización en Tommo So en el año 2012. Cuando otras mujeres en las comunidades cercanas vieron lo que aprendian las de Kansongho, ellas tambien querian participar. Hasta ahora, 1,117 mujeres en 29 comunidades han recibido clases de alfabetizacion de La Fundacion Tandana. En el año 2018, la fundacion añadó tambien talleres sobre el liderazgo femenino para las antiguas estudiantes de alfabetizacion, y apoyó a estas líderes en la creación de asociaciones femeninas en sus comunidades. Cada asosiacion tuvo la oportunidad de presentar una propuesta para una actividad de emprendimiento que desean crear. Las mejores 10 propuestas fueron selecionadas y recibieron apoyo para sus actividades. La siguiente carta fue escrita por Bamia Assatou Goudienkile, en nombre de las mujeres del pueblo de Nounou, explicando cómo su participación en los programas de alfabetización y liderazgo femenino a ser autosuficientes. La llegada de la Fundación Tandana nos ha hecho cambiar mucho y ha fortalecido la vida comunitaria en nuestro entorno. Antes de su llegada, las mujeres del pueblo no nos veíamos entre nosotras por semanas o incluso meses. La Fundación Tandana nos entregó condiciones de limpieza y sanidad, además de enseñarnos cómo organizarnos en grupos entre nosotros mismos. Tiempo atrás, con el programa APC teníamos grupos, pero eran sólo de 25 miembros y no eran para todas las mujeres del pueblo. Nuestro grupo de APC era todos los Martes, y contribuíamos con sólo 100f (aproximadamente 18 centavos de Dólar) semanales por persona. Luego de nuestras reuniones, la Fundación Tandana fortaleció nuestro conocimiento al enseñarnos como escribir, leer y operaciones matemáticas en nuestro lenguaje Tommo So. Tiempo atrás, ni siquiera sabíamos lo que significaba leer o escribir. Ahora, las mujeres del pueblo escriben, leen y hacen las cuentas de sus pequeños negocios como ellas quieren. Incluso cambian sus números de teléfono cuando quieren. Todo esto gracias a la Fundación Tandana. Luego de alfabetizarnos, la Fundación Tandana realizó talleres de vida asociativa que nos sirvieron mucho para cambiar nuestras vidas. Los talleres de vida asociativa nos enseñaron a formar no sólo grupos, sino también asociaciones y organizaciones. En el pasado no sabíamos ni siquiera organizarnos para contribuir o trabajar en conjunto para ganar dinero. Después de los talleres de vida asociativa, compartimos lo que habíamos aprendido con el resto de las mujeres del pueblo. Todas las mujeres estuvieron de acuerdo y agradecieron la información entregada por la Fundación Tandana. Ahora somos un gran grupo. Cada viernes contribuimos todas las mujeres del pueblo 50f (aproximadamente 9 centavos) por persona. Hay más de 100 mujeres en el pueblo, por lo que nuestra recaudación es de más de 5000f (aproximadamente $9) por cada reunión. Además, nuestros fondos no vienen solo de esta recaudación, sino también tenemos grupos de trabajadores y cobramos algunas multas entre nosotros. Después del taller de hoy, tenemos más de 35000f (aproximadamente $62) en nuestros ahorros, y además tenemos un plan de acción. Este año, será nuestro grupo de mujeres el que moverá el abono a los campos. Transportaremos arcilla [para construcción] también. E incluso después de la época lluviosa, seremos nosotras las mujeres las que transportaremos las espigas de mijo a las casas, y todo el dinero que recolectemos irá a nuestros ahorros del grupo. No tenemos muchas dificultades, porque todas las mujeres del grupo conocen y respetan sus derechos y deberes. Nosotras, las mujeres de Nounou, actualmente hemos decidido no pedir dinero prestado en ningún lado. Todavía contamos con la Fundación Tandana. Antes éramos ciegas, sordas y mudas, y además no podíamos caminar. Ahora, gracias a la Fundación Tandana, vemos todo claramente, oímos, hablamos y podemos caminar.